AVG Business by Avast proudly accepted the “Security Vendor of the Year” award at the European IT & Software Excellence Awards held in London on March 30. The annual awards is the leading pan-European awards for resellers, ISVs, Solution Providers and Systems Integrators, and their vendor and distributor partners. Avast’s PR Director, Stephanie Kane, accepted the award on behalf of the AVG Business team. Cyber-attackers are always finding new ways of bypassing the protection systems installed on computers in order to avoid detection and steal user data. In that respect, Black Hat hackers have always turned to malware-based attacks (phishing, network worms, or the dreaded Trojans with ransomware as the most dangerous example) to reach their goals: break into companies to steal credentials and huge amounts of other data in exchange for a ransom… At least, until now. PandaLabs has recently detected a quite clever attack targeting a company in Hungary. What makes it so special? Well, the attack does not use any malware as such, but scripts and other tools belonging to the operating system itself in order to bypass scanners. This is just another example of the increased self-confidence and professionalization we have been observing among cyber-crooks in recent months. First, and as has become the norm in the latest security incidents analyzed at the lab, the attack starts with the attackers launching a brute-force attack against a server with the Remote Desktop Protocol (RDP) enabled. Once they get the computer’s login credentials, they have complete access to it. Next, a program called “Traffic Spirit” is downloaded and run. 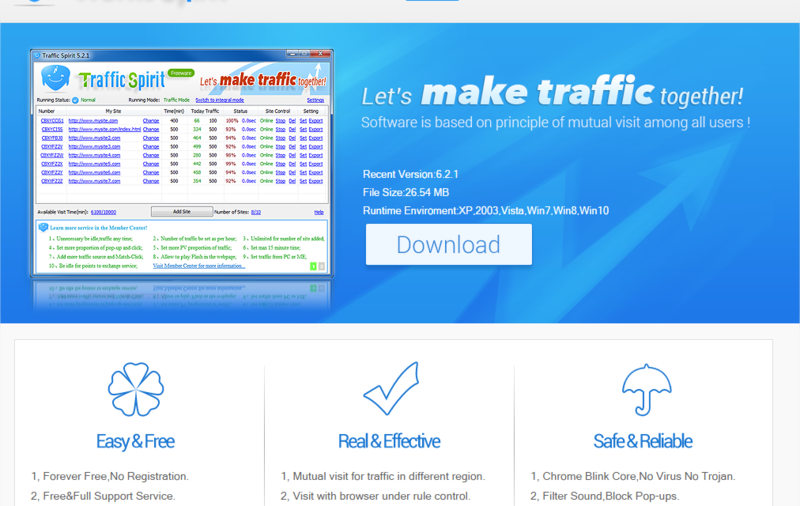 “Traffic Spirit” is a traffic generator application which in this case is used to make extra money out of the compromised computers. 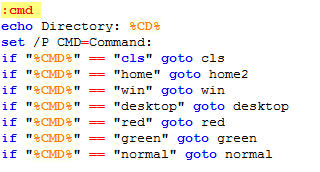 The command shell shortcuts will allow the attacker to access certain directories, change the console color, and make use of other typical command-line commands. However, the attack doesn’t stop here. In their attempt to make as much profit as possible from the targeted company, the attacker installs a bitcoin miner to take advantage of every compromised computer for free money. Bitcoin mining software aims to use the victims’ computer resources to generate the virtual currency without them realizing. A cheap and very effective way to monetize computer infections. How does the Sticky Keys feature aid cyber-crooks? If an attacker can actually access a targeted computer via an RDP connection, what do they need a backdoor for? The answer to this question is quite simple: By installing a backdoor on the affected machine, even if the victim realizes that their system has been compromised and changes the Remote Desktop credentials, all the attacker has to do is press the SHIFT key five times to enable Sticky Keys and run the backdoor to be able to access the system again. And remember, all of this without running malware on the affected computer. Adaptive Defense 360, Panda Security’s advanced cyber-security solution, was capable of stopping this targeted attack thanks to the continuous monitoring of the company’s IT network, saving the organization from serious financial and reputational harm. Protect your corporate network with the security solution that best adapts to your needs. The post Sticky Attacks: When the operating system turns against you appeared first on Panda Security Mediacenter. Two presentation sessions will showcase how IT Service Providers can add value and help small and medium businesses minimise the latest cyber threats. AVG Business by Avast will be presenting during London’s premier annual business technology event, Cloud Security Expo. With Gartner predicting 8.4 billion more devices will join the Internet of Things this year, how small to medium businesses (SMBs) manage the risk to their security as these devices enter the modern workplace presents one of their greatest challenges. At the same time, this is also an opportunity for managed service providers to build new programmes that offer the value and support their clients require and extend new revenue lines for their own business. WHAT: This presentation is about helping IT Services providers understand their value and how to apply their expertise to the managed security opportunity. Hear how to build programmes that drive recurring revenue whether that is 1 million or 10 million pounds. WHAT: This presentation will discuss how small and medium businesses worldwide are under increasing pressure to secure themselves and their customers’ data against a variety of cyber threats. This is compounded by several factors, such as the pace of technology adoption, the trend toward a virtual non-collocated workforce, and compliance with complex new legislation. The latest solutions deployed and managed from the Cloud offer across-the-board protection and low intrusion, but provide limited defence in-depth. Traditional security measures that operate completely inside four walls can still play a role in an overall security plan, but do not provide the necessary coverage. 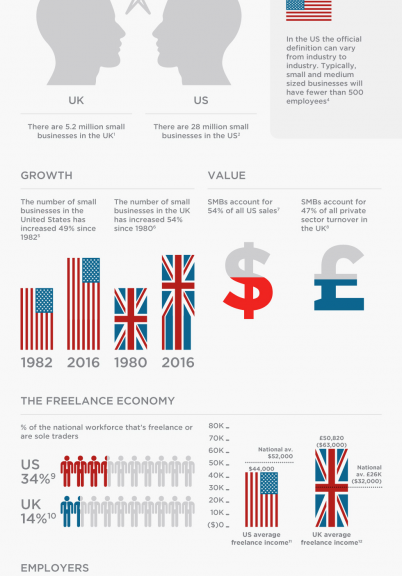 Find out more about these challenges facing small and medium businesses and the emerging product trends designed to solve them. AVG Business by Avast will also be showcasing its flagship products at Stand 1130 at the show. AVG Managed Workplace is the complete managed IT solution which provides unmatched ease of use, security and control of the entire IT infrastructure including all devices, applications and networks from a single pane with end-to-end visibility and remote monitoring and management. AVG CloudCare is a SaaS endpoint protection suite that enables Managed Service Providers and resellers to remotely support their clients and deploy a robust portfolio of cloud security solutions for multiple clients also through a single pane of glass. It combines an uncomplicated cloud-based IT management capability with AVG’s award-winning AVG AntiVirus and AVG Content Filtering at an affordable price. 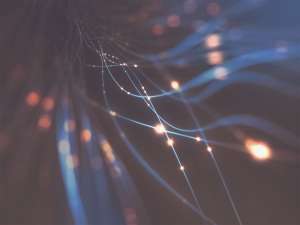 An attack on Dyn, one of the companies behind the infrastructure of the internet, in early October revealed how the new generation of connected devices has created fresh opportunities for hackers. Major websites – including Netflix, Twitter, Spotify and Amazon – all came under attack. Security analysts revealed that compromised Internet of Things (IoT) devices such as digital cameras and video recorders had been the entry point for hackers. A basic security vulnerability with these devices – factory-default security settings – had allowed hackers to disrupt the internet infrastructure. A growing number of banks and financial institutions began testing biometric verification – fingerprint and voice recognition – seeing it as an important way to reduce fraud. The lesson of the year was that the days of logging in with just a username and password are coming into an end. 2016 was the year that saw millions of user account details stolen from some of the best-known tech brands – Yahoo!, LinkedIn, Twitter – go up for sale on the Dark Web. It was also the year that the presidential campaign put the spotlight on government security – with a stream of leaked data and questions about unsecure email servers allegedly being used for classified information. A major botnet attack on Dyn, one of the companies behind the infrastructure of the internet, in late 2016 revealed the vulnerability of the Internet of Things. The attack – which caused disruption for major websites like Netflix, Twitter, Spotify and Amazon – started with hackers exploiting factory-default security settings in hacked digital cameras and video recorders. As more and more previously inert, unconnected devices connect to the internet – from fridges, to toys and thermostats – expect news of more Internet of Things-related hacks. A list of the “treacherous 12” vulnerabilities of cloud computing was unveiled at a major conference in 2016. These ranged from hacked APIs and broken authentication to denial of service (DoS) attacks. But the benefits to business of being able to access data wherever they are – and cut the cost of IT infrastructure by using cloud services – make it an attractive proposition that’s unlikely to lose its appeal any time soon. Something as apparently inoffensive as employees keeping up with the lives of ‘celebs’ on the Internet could be far more dangerous than you think for your company’s IT systems. Whether you like it or not, some employees take advantage of dead time (and not-so-dead time) to look for all the latest gossip and news on the Web. There may not be anything too risky about reading reputable newspapers online to see the latest news or check out your team’s results (although there have been cases of malware-laden ads in online newspapers). However, gossip columns and other celebrity stories have become a serious threat for the security of computers and mobile devices. Cyber-criminals are well aware of the interest generated by the lives of the stars, which is why they have come up with specific strategies to bait users into downloading malicious programs on their computers when they access this content. Cyber-criminals are well-aware of the interest generated by the lives of the stars. The first step that the average user takes when looking for information about celebs is to ask Google. Yet some searches are more risky than others. Some famous people and related events offer more potential for attackers, as was the case recently with Brad Pitt and Angelina Jolie after their separation became public. 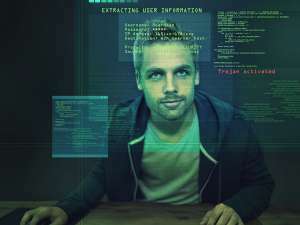 New film or music releases are also a popular weapon for criminals whose aim is to infect users’ computers and devices looking for passwords and other confidential information. Whenever a new story breaks, searches related to those involved increase dramatically and it becomes easier to infect users with malware hidden on malicious websites with related stories. New film or music releases are also a popular weapon for criminals. In order to minimize the threat, apart from having an efficient policy for controlling the way your employees use your company’s devices, the most effective measure is awareness. Firstly, your company’s workers should learn to distinguish between trusted pages and those that could potentially be used by criminals to infiltrate your systems. They should also avoid any links to illegal downloads, whether direct or via ‘torrent’ (highly in demand when a new film or song is released). Of course, you can get an additional guarantee of protection against malware that exploits users’ fascination with celebrity news by having a security solution to protect all your devices, such as Panda Security’s corporate solutions. The post Searching for celebrity news on Google can be dangerous for your computer appeared first on Panda Security Mediacenter. We are now one company . . . whether you use an AVG or an Avast product, we will continue to offer and support both AVG and Avast branded products. In July, we announced that we signed an agreement to acquire AVG. We have now acquired a majority stake in the company, completing the initial tender offer for all of the outstanding ordinary shares of AVG Technologies. That means we will operate as a single company as of Monday, October 3, 2016 and can officially welcome AVG business users to Avast! I have been leading Avast’s SMB business since 2015, and will drive the integration of the two company’s business divisions. With an existing SMB business and reseller base that was many times larger than Avast, we will be integrating Avast’s program into the AVG business program. The acquisition will overnight vault Avast into a leadership position in the SMB security market. Our gain will also be your gain. By combining the strengths of Avast and AVG under one company, you can now look forward to a stronger threat detection network powered by the largest install base (by far) of any competitor. The new Avast now protects more than 400 million mobile and PC users worldwide, each of which acts as a sensor. Whenever one of these sensors encounters a new threat, the threat is sent to our Threat Labs for analysis and a detection is created to protect the rest of our network. This means your business is already being better protected from the latest threats. Avast will continue to offer and support both the AVG and Avast branded products for the foreseeable future (more details about this can be found here). We want our customers to be reassured that whether you use an AVG product or an Avast product, we will continue to have experts support you. We are nothing without our customers and partners like you, who helped us get to where we are today. We are thrilled about what the future will bring and are looking forward to finding new ways to add value for you, our customers. We are looking forward to the innovative products this acquisition will produce and the momentum it will create in the market. This press release contains forward-looking information that involves substantial risks and uncertainties that could cause actual results to differ materially from those expressed or implied by such statements. All statements other than statements of historical fact are, or may be deemed to be, forward-looking statements within the meaning of the federal securities laws, and involve a number of risks and uncertainties. In some cases, forward-looking statements can be identified by the use of forward-looking terms such as “anticipate,” “estimate,” “believe,” “continue,” “could,” “intend,” “may,” “plan,” “potential,” “predict,” “should,” “will,” “expect,” “are confident that,” “objective,” “projection,” “forecast,” “goal,” “guidance,” “outlook,” “effort,” “target,” “would” or the negative of these terms or other comparable terms. There are a number of important factors that could cause actual events to differ materially from those suggested or indicated by such forward-looking statements and you should not place undue reliance on any such forward-looking statements. These factors include risks and uncertainties related to, among other things: general economic conditions and conditions affecting the industries in which Avast and AVG operate; the uncertainty of regulatory approvals; the parties’ ability to satisfy the conditions to the contemplated tender offer, AVG’s delisting from the New York Stock Exchange and suspension of AVG‘s reporting obligations under the Exchange Act and to consummate the transactions and their plans described in this press release; and AVG’s performance and maintenance of important business relationships. Additional information regarding the factors that may cause actual results to differ materially from these forward-looking statements is available in AVG’s filings with the U.S. Securities and Exchange Commission, including AVG’s Annual Report on Form 20-F for the year ended December 31, 2015. These forward-looking statements speak only as of the date of this release and neither Avast nor AVG assumes any obligation to update or revise any forward-looking statement, whether as a result of new information, future events and developments or otherwise, except as required by law.